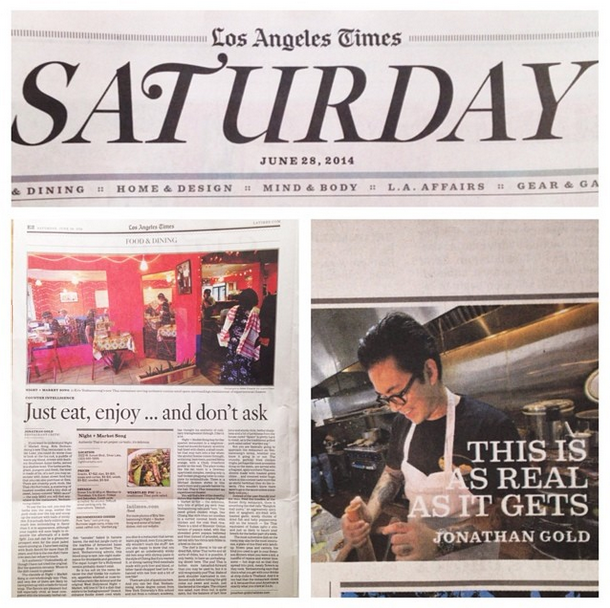 "At Night + Market Song, just eat, don't ask"
Have you read Jonathan Gold's review of Night + Market Song yet? You can read it here. Thank you Mr. Gold and the LA Times team!